By now every one has heard about the monster of a gator sited in a nature preserve in Lakeland, Florida. There is three things Florida is known for, Publix, out of the blue floods and of course gators. This siting makes that saying even more real. According to sources the monster of a gator was spotted at Circle B Bar Nature Reserve last Sunday. Once the video was uploaded it began to go viral on all social media websites all over the world. The alligator is known by many as “Big Humpback” and is estimated to be at least 14 to 15 foot long. Almost breaking the Florida record of the largest alligator measuring at an outstanding 14 feet and 3- 1/2 inches. 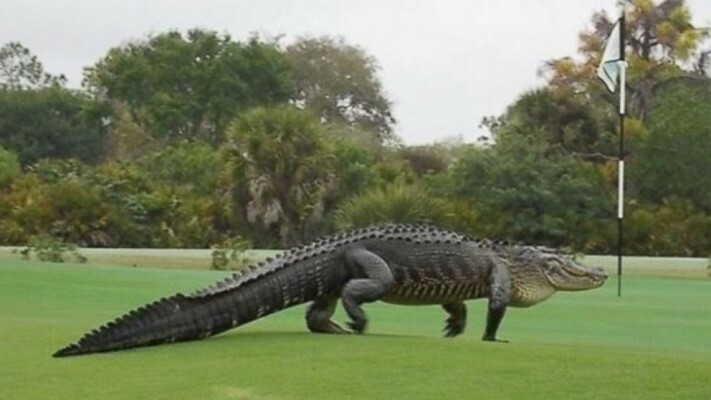 We all know the gigantic monster that was spotted on Buffalo Creek Golf Course just several months ago. Some may think it was just an insane photoshopping job. Maybe make your way down to the preserve and check himself out for yourself, but remember keep your hand to yourself if y0u want to keep them.